When you think puzzle games, you probably conjure up images of Tetris. Launching the Game Boy into the stratosphere, Tetris has not looked back since its debut and continues to appear on each and every video game and non-video game piece of hardware created. Naturally, Tetris had to make an appearance on VR eventually and the long-awaited iteration is finally here. So far? Critics are loving it. Though it is definitely been described as a different experience than past Tetris games have offered. That’s just silly- anyone who has played Tetris for a long time can already tell you it causes psychedelic after effects and they can also tell you about how addicting it is. You know, like a drug. But what Paste Magazine and others are referring to when it comes to Tetris in VR is the presentation and it is a love-it-or-hate-it proposition. That is because the gameplay, sound, and music all work together in what can only be described as a tour-de-force of puzzle gaming. Blocks fall with appropriate plonks and accompanying musical flourish and the integration between action and response is so tightly woven you would think you were playing a quicktime event. As you get better, this flow becomes more natural and more pronounced. Yet that is kind of one of Tetris Effect’s biggest weaknesses: Over-reliance on the atmosphere. If “New Age” pop without vocals is your thing, then you probably won’t be bothered by the music. And if you aren’t bothered by a somewhat generic pastiche of modernism and philosophy overtop “crystal power” aesthetics then Tetris Effect is your jam. This package is to be expected given the name of the game. 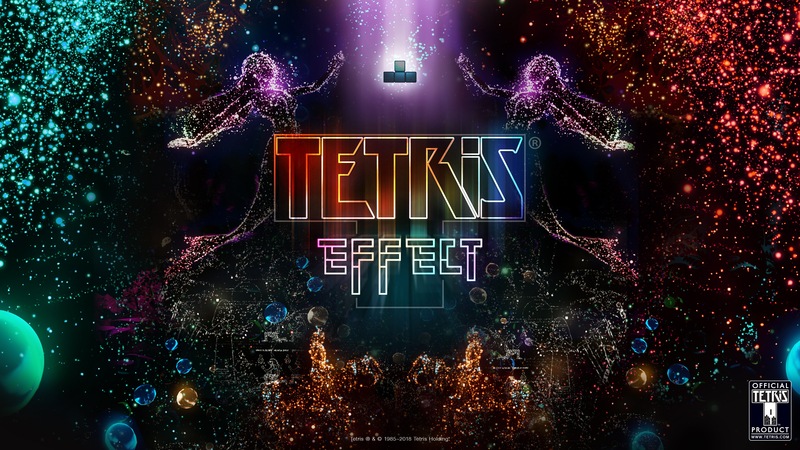 Tetris Effect refers to the sensation of seeing the game’s tetriminos descend before your eyes after long hours of play. To this end, Tetris Effect does a great job of pulling people in and shutting out the outside world. But it never simulates its own world and never convinces you that you are part of some kind of dream. Things are too coordinated and regimented for that. After all, you are playing a rules-based puzzle game. Still, the attempt at creating a dreamlike state in Tetris Effect is worthy of mention and a pretty cool effect for those of us that like the new ways VR brings gaming to audiences. Really, the biggest hurdle to overcome when it comes to Tetris Effect is setting aside your notions of what a Tetris game should be and how it should play. As long as you are open to something different, Tetris Effect will be a neat experience. Yet we can’t help but think that real players of traditional Tetris will be turned off by the somewhat wild presentation and gameplay style, regardless of whether or not it is largely the same as before. The Future of VR Gaming: Moving Towards Arenas?